These two quotes reveal the essential difference between two reformers, Renaissance theologian-scholar-humanist Desiderius Erasmus and late 20th-century anesthesiologist-scholar Michael Roizen. Erasmus had a way with words, but Roizen has better datacombined with a flair for fin-de-millennium marketing. Roizen, the Chairman of Anesthesiology & Critical Care at the University, is taking his reformation on the road on what is known as the book tour. With the help of Elizabeth Stephenson, a graduate student in Anthropology at the University, Roizen pulled medical data together into a readable volume, now available in bookstores. The book tour, already underway, has started off with a bang. Roizen appeared on Oprah Thursday, Feb. 25, the same day his bookReal Age: Are You as Young as You Can Be?went to No. 1 on Amazon.coms bestseller list. Unlike reformer Erasmus, Roizen has focused on extending stays in this world, a harder task perhaps than preparing for the next. He hopes to alter not just his followers beliefs, but also their behaviors, to persuade millions of people to beat back louring old age not just by chuckling but by making small lifestyle changes that could add up to big health benefits and longer lives. Like so much in medicine, it began with a question from a patient. A 49-year-old man in the pre-op clinic preparing for bypass surgery asked Roizen about the risks of the operation. They were low, explained Roizen, but they would be much lower if the patient could stop smoking. The patient did quit, breezed through surgery and is still doing well. A similar incident occurred with a second patient; an investment banker, who was not taking his blood pressure medications consistently, helped refine the question. Why would a bright, wealthy, highly educated person, who clearly understood the consequences, choose to neglect his health? As we talked, I realized he had no way to calibrate the benefits of his medication, said Roizen. In exchange, the banker steered Roizen to the work of Chicago economist Milton Friedman, who won the 1976 Nobel Prize, in part for his research on how investors discount uncertain future gains. Friedman found that without a straightforward way to calculate the worth of benefits that would not be received for years, investors tended to undervalue them. Benefits that were more than three years away were often seen as worthless. That currency was a persons real agesoon to be known as RealAgea combination of his or her chronological age with months and years tacked on for added wear and tear, such as smoking or high blood pressure, or peeled off for superior maintenance, like regular exercise or low cholesterol. After spending years combing through the vast and ever-growing literature on disease risk and prevention, RoizenChronAge 53, RealAge 38and colleagues developed software that allowed patients to compute their RealAge after responding to questions in 125 categories and see how much each lifestyle change, or cluster of changes, could lower it. He began showing the system to patients, explaining how their good or bad habits influenced their rate of aging and suggesting beneficial changes. It workedmuch better than requests, warnings, exhortations, admonishments. Roizen soon found himself celebrating more and more unbirthdays with patients as they got healthier, making their RealAge younger. Where there is gold, there are miners. After visiting the RealAge Web site, agents from Harper Collins books began negotiating to produce a mass-market book, making the science behind the program accessible to the public. While book tours are unusual for University facultythe average scholarly title has a press run of 4,000 to 6,000 copiesaggressive intervention in the aging process is nothing new. What is unusual about Roizen is the willingness of this established scholar to venture outside the familiar environment of hospitals, laboratories and scientific journals. 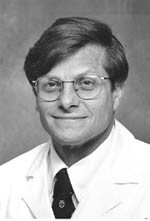 Ive spent my entire career building credibility, he mused, doing careful studies, publishing papers, testing new drugs, running a highly ranked department and taking very good care of patients, one at a time. Anesthesia is all about prevention, predicting who is at risk and preventing the potential discomfort and complications that come with any invasive procedure. RealAge is just an extension of that, targeted at a bigger audience. Instead of preventing a problem for one person at a time, Ive now got a shotand only one shotat changing the health of millions of people by persuading them to adopt better health habits, said Roizen.